Come Out With Pride is one of the largest Pride events in Florida. We asked Come Out With Pride Board Member Jose Luis Dieppa to tell us all about the event and its impact. How would you describe Come Out With Pride Orlando in one sentence? What can you tell us about the history of Come Out With Pride Orlando? Throughout the years, the Metropolitan Business Association (MBA), Central Florida’s LGBTQ+ chamber of commerce, saw the need for a Pride festival that focused on building unity and an open dialogue within the local community, as well as encouraging the rest of the country to rally by our side while we worked to influence Florida legislators to create more inclusive laws. In 2005, Come Out With Pride, Inc. (COWP) was formed as its own corporation under the MBA. This allowed the new organization to have their own board of directors and mission for the community. COWP is a 501c3 all-volunteer nonprofit organization led by a board of directors and a production team. Since that day in 2005, COWP has grown into a major Pride event, becoming one of the largest Pride festivals in Florida. Between the marketplace, entertainment, Disney Kid Zone, parade, fireworks and variety of food and beverage choices, this event caters to the diverse communities that make up Central Florida. COWP is celebrated during the first weekend in October. 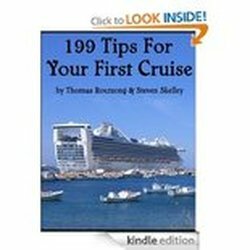 It aligns with National Coming Out Day (October 11th) and National Gay and Lesbian History Month. COWP is a fun event for everyone to enjoy, regardless of age, gender, race, disability or sexual orientation. COWP is implementing new ways to improve and build upon this incredible event without losing sight of the organization’s main goal. COWP will continue to spread a message of acceptance and diversity while engaging in community activities and educational forums. What can you tell us the events at Come Out With Pride Orlando? Come Out With Pride starts with the official Launch Party to be celebrated Thursday October 11, 2018. The Launch Party features a wide variety of unique entertainments and activities to get everything started followed by a block party on Friday night when Orlando comes alive in rainbow colors the night before Pride as the community gathers in a massive party that is not-to-be-missed! Followed by the big day, Saturday, October 13, with the festival and the most colorful parade in Orlando featuring Pride Marketplace, food, great entertainment and more. No one will want to miss the Keep Dancing Orlando zone which features high-energy DJs and music all day long. Nearly 150 units participate in the parade. Follow by outstanding entertainment and a finale with a spectacle of fireworks bringing colors to the sky in Lake Eola. When is Come Out With Pride Orlando and why? Come Out With Pride will be celebrated on Saturday, October 13, 2018. The festival runs from 1200 p.m. to 10:00m p.m. in the heart of Downtown Orlando in Lake Eola Park. Why is the Orlando a good destination for LGBTQ? Orlando is home to the third largest LGBTQ+ population in the country and the largest in Florida. It is no surprise Orlando is so popular with LGBTQ+ visitors. Orlando has LGBTQ themed events such as Gay Days (June), One Magical Weekend (June) and Come Out With Pride (October). 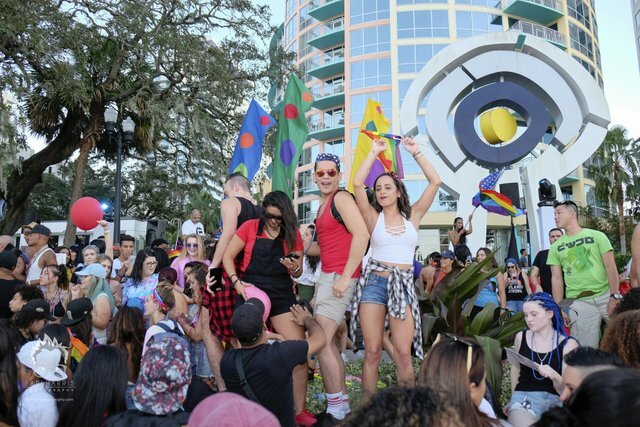 Couple that with trendy neighborhoods, world-class shopping, well-known LGBTQ+ clubs and bars and sophisticated dining, and Orlando has all the characteristics of the perfect place for the LGBTQ community to come together, come out and have fun. After Pulse nightclub shooting, Orlando has become the center of LGBTQ+ rights, LatinX and gun prevention. Orlando United. PHOTOS PROVIDED BY Jose Luis Dieppa.